Creative artistic expression is central to our human need for identity and connection to others. As a Friend, you can make a monthly donation and be kept up-to-date with events and activities throughout the year. 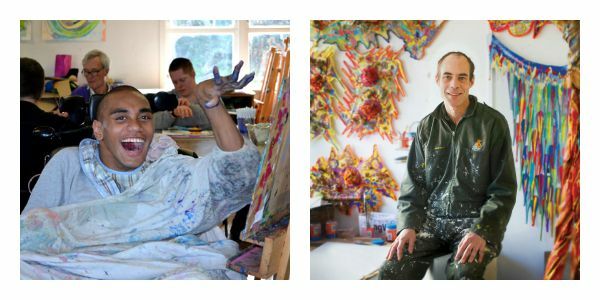 Your regular donation will support artists and arts organisations in the community and professional arts sectors; people with physical, sensory or intellectual impairments; and people with lived experience of mental illness. Arts Access Aotearoa also advocates for the arts to be used as a tool for rehabilitation in prisons. the Arts Access Aotearoa In Touch e-newsletter, distributed at the beginning of each month. It features stories, profiles and information about the people and organisations we work with to increase access to the arts for everyone in New Zealand. regular updates and invitations to events specific to your region and throughout New Zealand. an invitation to the Friends of Arts Access Aotearoa reception and Arts Access Awards, held in the Banquet Hall of Parliament every year. With your help, all people in New Zealand, now and in the future, can be included in the arts as artists or audience members. Original generation time 1.5158 seconds. Cache Loaded in: 0.0258 seconds.